Dr. Mik Kersten spent a decade creating open source developer tools before realizing that programing was not the bottleneck of large-scale software delivery. Since that time, he has been working on creating a model and tools for connecting the end-to-end software value stream. He has been named a JavaOne Rock Star speaker and one of the IBM developerWorks Java top 10 writers of the decade. He was selected as one of the 2012 Business in Vancouver 40 under 40 and has been a World Technology Awards finalist in the IT Software category. Kersten is the editor of the new IEEE Software Department on DevOps. 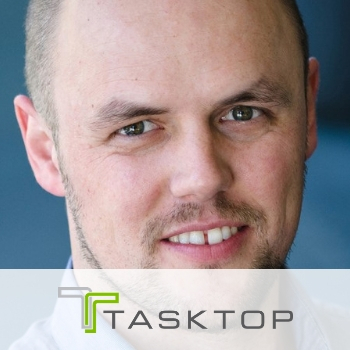 Prior to founding Tasktop, Mik created the Eclipse Mylyn open source project as part of his PhD in Computer Science, pioneering the integration of development tools with the delivery pipeline. In 2018, Mik launched his book, Project to Product, introducing the Flow Framework™, with concepts to help drive software at the pace of organization’s business.